The Egyptian president’s second trip to China in nine months led to more economic deals. Thanks to Beijing’s military parade on September 3, Chinese President Xi Jinping had a bevy of meet-and-greets with world leaders last week, including Russian President Vladimir Putin and South Korean President Park Geun-hye. Xi also met with Egyptian President Abdel Fattah el-Sisi – a meeting that gained far less publicity, but has intriguing implications. That Sisi made a second trip to Beijing in less than nine months – and personally attended China’s celebration of the 70th anniversary of the end of World War II – emphasizes just how serious Egypt’s new government is about deepening ties with China. For decades, the United States has been Egypt’s major strategic partner, but that cooperation has been uneasy since Washington supported the ouster of Hosni Mubarak in 2011, during the height of the Arab Spring. Sisi himself gained power after Egypt’s military toppled elected President Mohammed Morsi, leading to even more uncomfortable relations between Sisi and the United States. China’s state media also saw Sisi’s presence as a positive sign for China-Egypt relations. China Daily cited an Egyptian analyst, Yousri al-Azabawi of the Al-Ahram Center for Political and Strategic Studies, who said that Sisi’s attendance at the parade, in particular, was a sign that the two countries would seek to emphasize their military relationship. Previous China-Egypt cooperation, including Sisi’s December 2014 visit to China, had focused on the economic aspect of the relationship. The major deliverables this time around, however, were still economic. During Sisi’s recent visit, China and Egypt finalized a number of deals that had been outlined in December 2014. According to Egyptian Trade and Industry minister Mounir Fakhry Abdel Nour, that includes construction of a power plant in Suez Province, a new electric rail project to link Tenth of Ramadan City in Sharqia to Cairo, and a $100 million loan to the National Bank of Egypt for financing medium and small projects. Nour also noted that China is now Egypt’s largest trading partner, with bilateral trade worth $11 billion. Like many of China’s trading partners, however, Egypt is concerned about just how imbalanced that trade is – Nour pointed out that Chinese exports to Egypt account of $10.5 billion out of that $11 billion. “We are working hard to increase our exports to China and urge for opening the Chinese markets for our industrial and agricultural exports,” he told Xinhua. Nour also said Egypt would seek to encourage more Chinese investment. That hope took a big step forward this week. In a deal announced on Monday, China State Construction Engineering Corporation agreed to build and finance part of a new administrative capital that will be built to the east of Cairo. 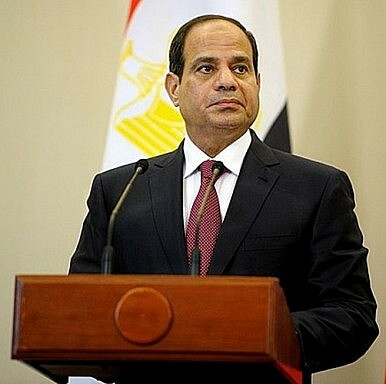 Sisi’s government expects the project to cost $45 billion over the next five to seven years. When finished, it will include government agencies and the president’s office as well as a new airport. Is China's President About to Make His First Trip to the Middle East?China's Egypt OpportunityChina Backs Egypt's UNESCO Leadership Bid While the US Withdraws CompletelyChina in the Middle East: Testing the Waters, Linking the LandsIs the Czech Republic China's New ‘Bridge to Europe’?